I jumped off a boat I was riding in and found this place underwater in Valda. I couldn’t figure out how to get inside so I flew up out of the water. This is some of what can be seen above the water. On one of them is a ladder that can be climbed down into a hub. There are four different experiments but I couldn’t figure out how to get closer to them from this hub. I checked land traffic and it was over 1000 on the day I visited. When I see wind farms on the grid, I know there are real life wind farms. 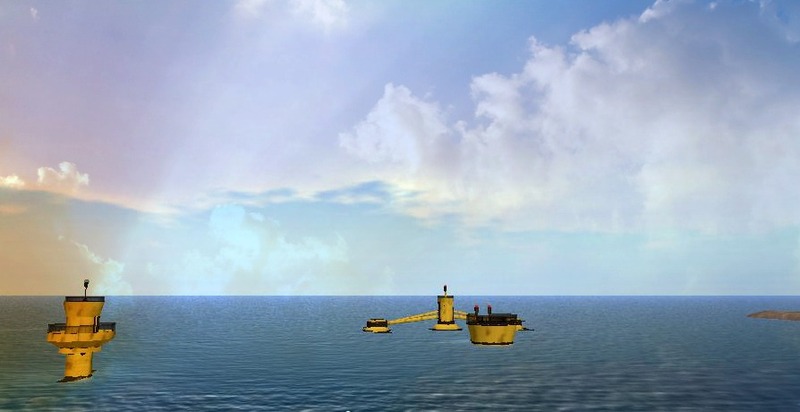 But I know so little about engineering stuff that I wasn’t sure if this is just some cool SL thing. I googled it and found it’s been explored for some years and there’s about 20 pages of results for real life. It looked great and I’m pleased I got my pixels home safely. I knew as I soon as I saw WordPress blogger photos of Little Village that I would love walking around there. I wonder if the little houses will ever be for sale in Cica’s shop so I teleported over to have a look and they are not. I also checked her marketplace store. A girl can always hope and dream. 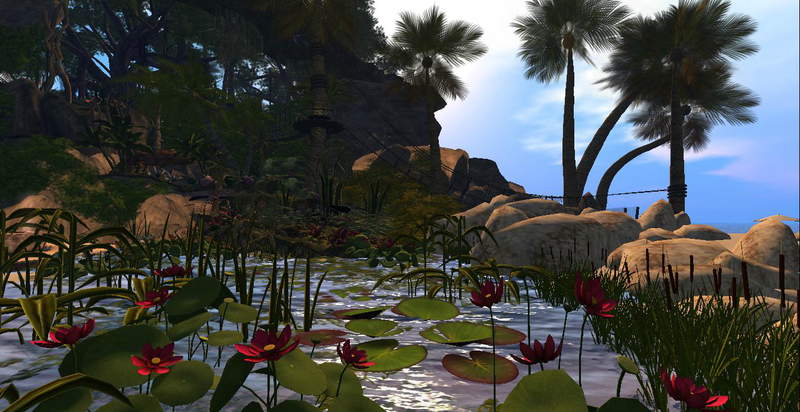 On Wednesday I blogged about some destinations on the mainland just off Robin Loop. Here are a few more photos taken from the road. 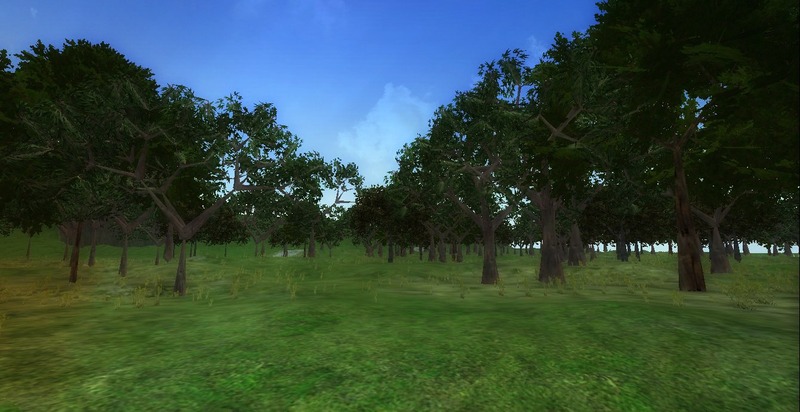 Above is Rubi Woods, which is Linden owned. There are the usual buildings-with-a-purpose. Often they include some whimsical elements. I see Phillip Linden (Away) quite often on the mainland. 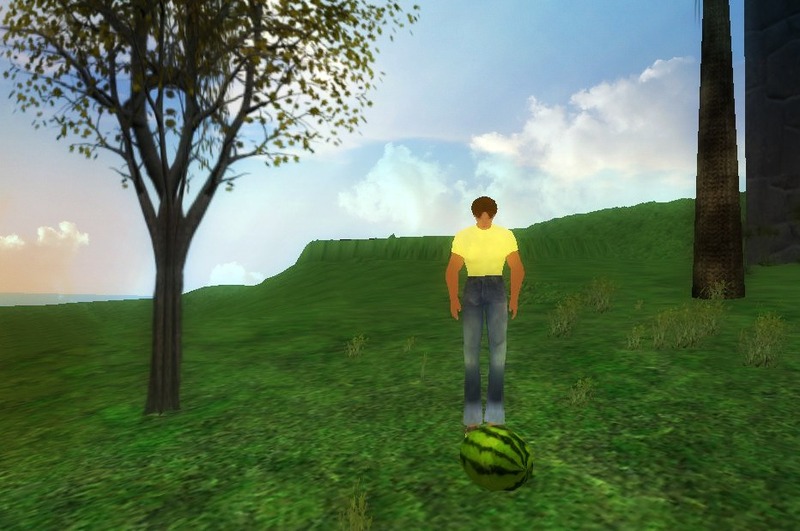 Here, you can shoot the watermelon near Phillip. I didn’t attempt it. But I usually don’t resist those exploding pigeons. Have a great weekend and enjoy all your lives. I hear from business owners about challenges of doing business on the grid. Not all can manage the limited time, event type of markets that are happening more often. Since I’ve been exploring the continents, I’ve noted some first observations of shopping after the first shock of the hodge podge of it all. It seems that most list their stores in search and people teleport in, not being able to rely on foot/vehicle/air traffic. Indeed some stores I’ve tried to walk into from the road were almost inaccessible due to neighboring banlines and odd parcel shapes. In the photo above, someone has made good use of an oddly shaped 512 plot. 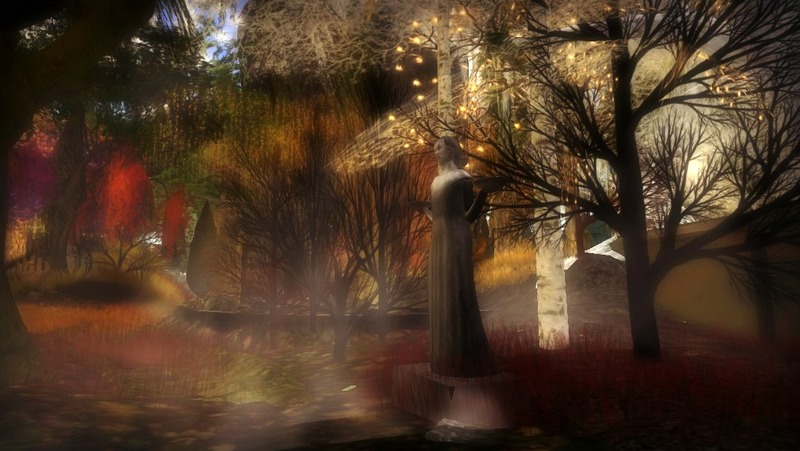 Some of the land between the road and the plot is Linden owned, just like Seraphim Placebo mentioned is the case between the road and the Placebo Gallery which she curates. 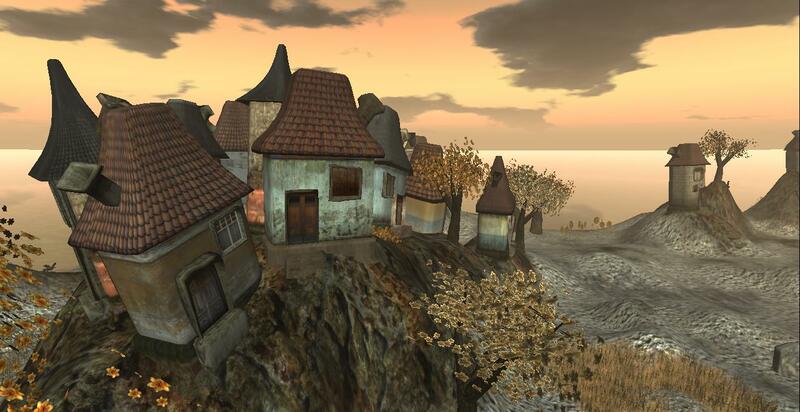 This looks like a crash place but everything here can be purchased and is said to be low price and low prim. The low price is correct; I didn’t check the LI on individual items but there is about 20 remaining of the 117 allocation. This location is off Robin Loop which I’ve blogged about earlier this week. The other two photos were of a store for boats and seaplanes in Hooper, near where I explored and blogged about during the past month or so. The vehicles looked excellent for those who are into that sort of thing. It’s a wonderful location but has since been abandoned as of Monday. 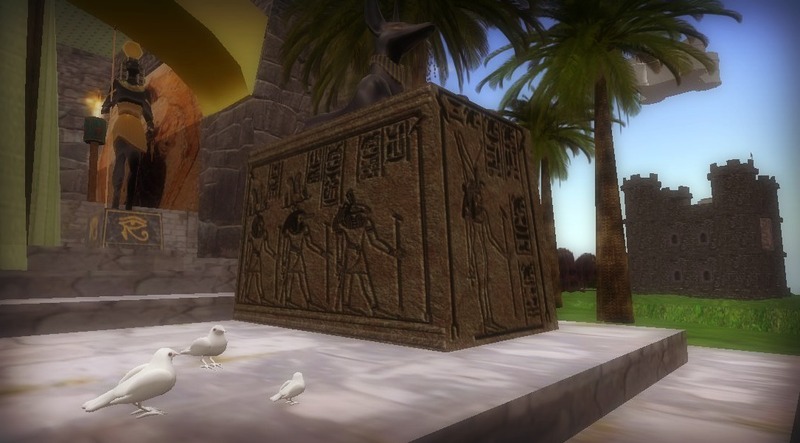 One of the yavascript transformer boats travels by here often. The areas of the mainland I’ve returned to several times, indicate changes. My first impressions had been of people rezzing stuff years ago and then forgetting about it, having the tier paid from their credit cards and never logging in. But things aren’t actually that static at all. I like the community and world feel of houses and shops scattered about. If you want a bit of winter, there’s Ice Skating in Vine. 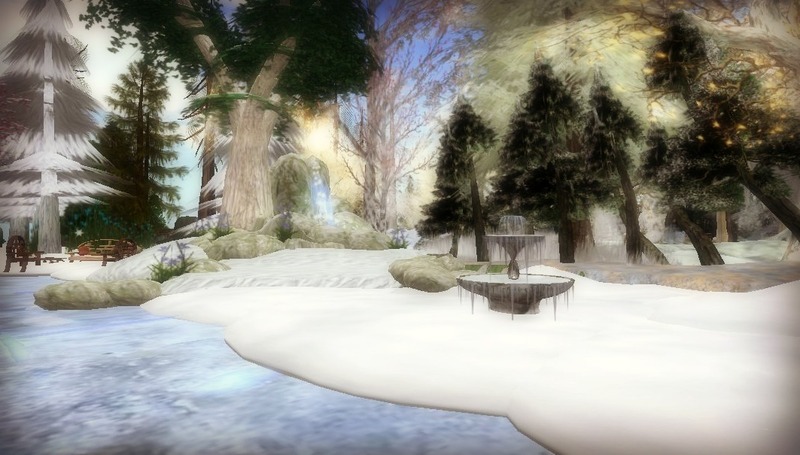 The land description reads: Snow, Ice skating, Winter, Free Ice Skates – pairs skating and singles skating, tricks and relaxed; take tp to my little alien friendly space station; PG fun only please..
Just beyond the ice skating is The Forest Garden, meadow and woodland. Above is the woodland part. The land description reads: The Garden is free and open to all, and your help and support in keeping it alive is needed and appreciated. Above is a photo of the meadow part of The Forest Garden. 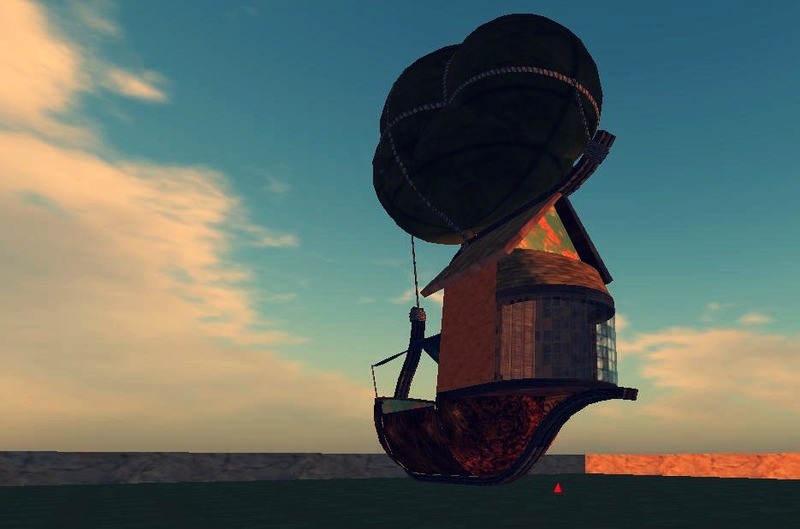 This wonderful airship at Isla Okiddo was a delight for me to find. There’s art, books, comfy seating and great rugs. And tea!! 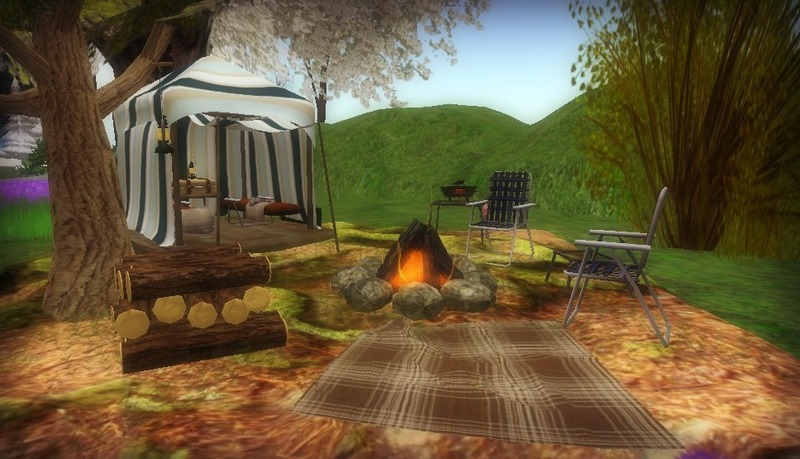 It started me on one of those diversional little journeys that happen in Second Life. The airship is from Garden of Dreams. It really does fly. Navigating safely around the grid is beyond what I’ve been able to learn so this one isn’t for me. 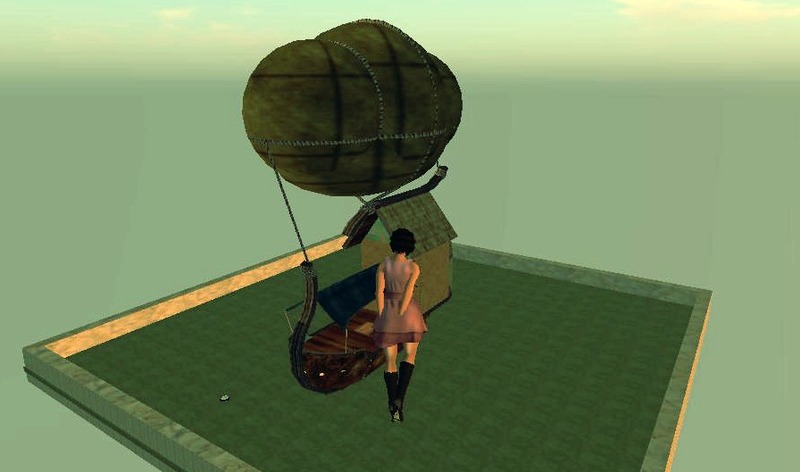 I looked at other airships, including boarding the Albatross in Dryland, (which was closing and is likely gone by now. 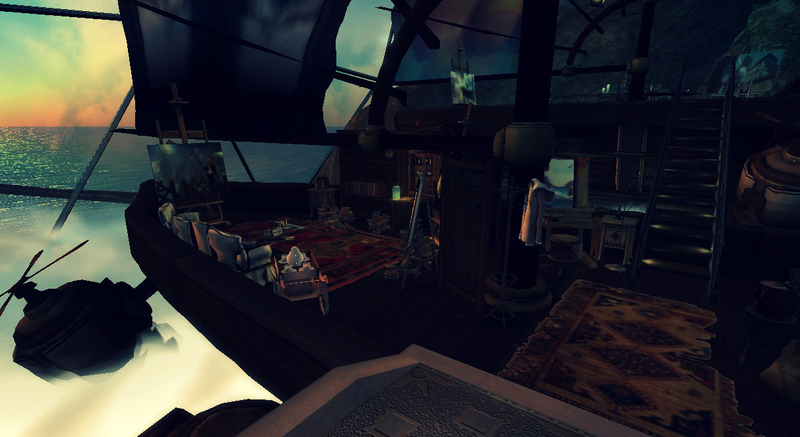 I then found a free, copy/mod Steampunk Airship on the Marketplace. It rezzes as an object and is stated to be 66 LI but mine turned out to be 67. It is static and isn’t huge, which is fine with me. Best of all there are lots of faces that can be textured which is one of the few things I’ve learned how to do so far. I would dearly love to be more creative but when it comes to building and there are all these words like sculpties, prims and UV maps, mesh and such, my human starts to tune out and suddenly realizes the plants could use some watering or that there’s ginger flavored bacon in the fridge. 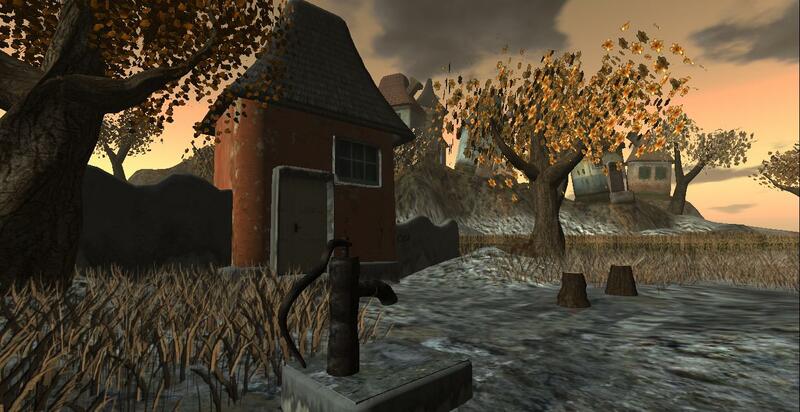 But the approach of texturing was doable for me and I had fun with it. 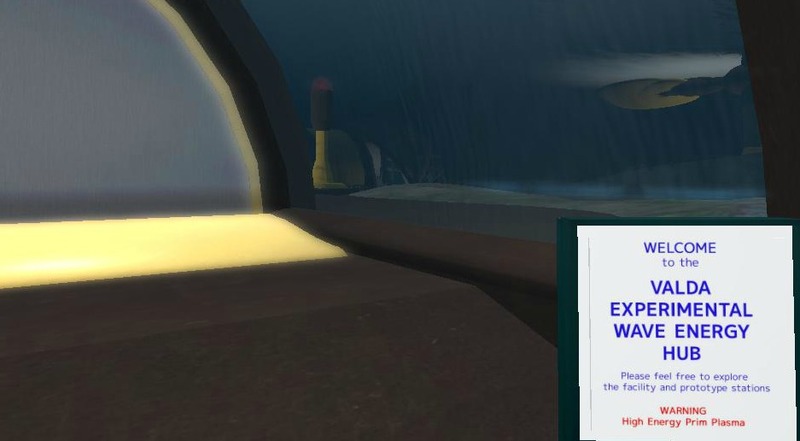 The airship is already textured with what’s found in the library. I used some painted metal I picked up in a hunt, some fine wood, better than the weathered boards the home came in and I left the glass alone. I had previously bought some textures from PixelCat, somewhat in the same way my human collects vintage and ethnic fabric. I used the Steampunk Copper and Crushed Velvet and was pleased with the result. The indoor area and deck are spacious enough to be livable. You can stand up below deck but it felt confining to me and I wouldn’t use it. 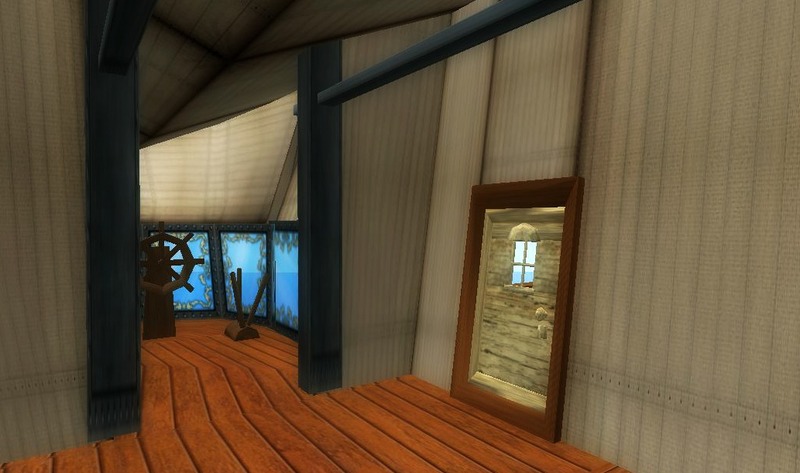 There are scripts to open the doors of the indoor area and to go below deck. You could add one to make it fly if you wish. I was told there’s a way I could reduce the LI down and was offered to be shown that in due time. For now, the airship is tucked away in my inventory. It has dawned on me that I’ve bought so much stuff without paying real attention to some of it being modifiable. If it doesn’t work as is, I never look at it again. But it seems to be the next step is to modify items until my human is willing to wrap her head around actually learning to make things. Here’s a raw photo of part of Isla Okiddo. You can walk up the bridge shown in the right background to some cozy hangout places. 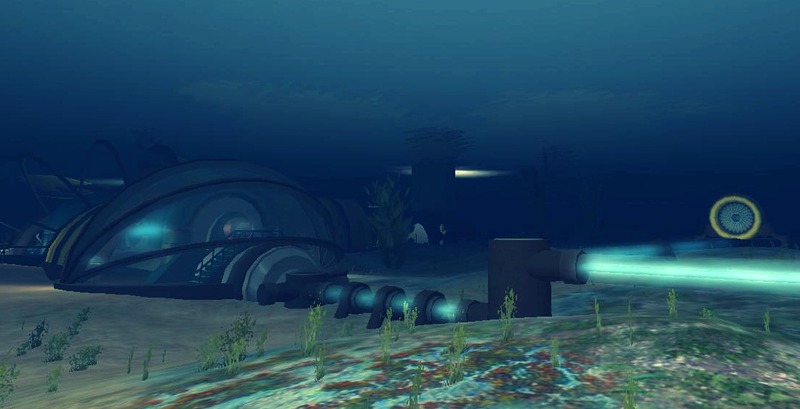 There’s also a domed habitat with a piano and other decor to spend time with and an underwater walk which leads to a tribute to SL photography. 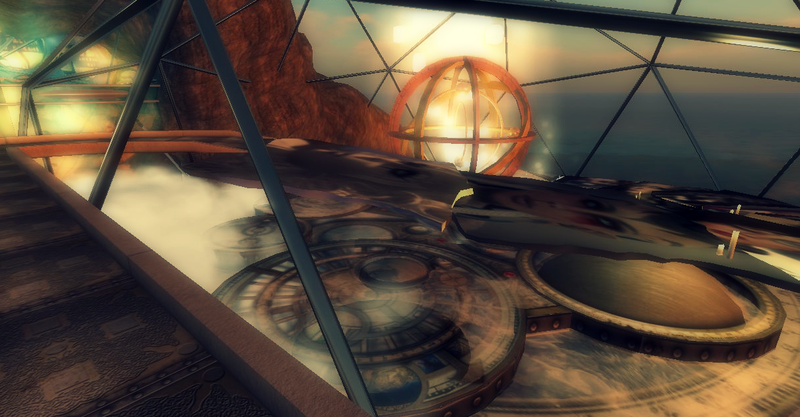 My favorite of all the gorgeous areas is the airship, which I’ll have a photo of tomorrow. When you arrive, the info suggests you choose your own WindLight. 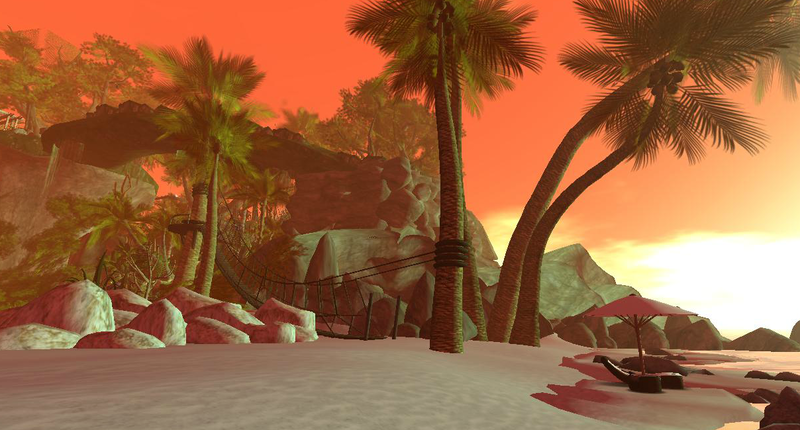 In my last post, there’s a photo of Isla Okiddo taken with Sailor’s Delight from the environmental editor in the Lab viewer. This place is currently featured in the destination guide. 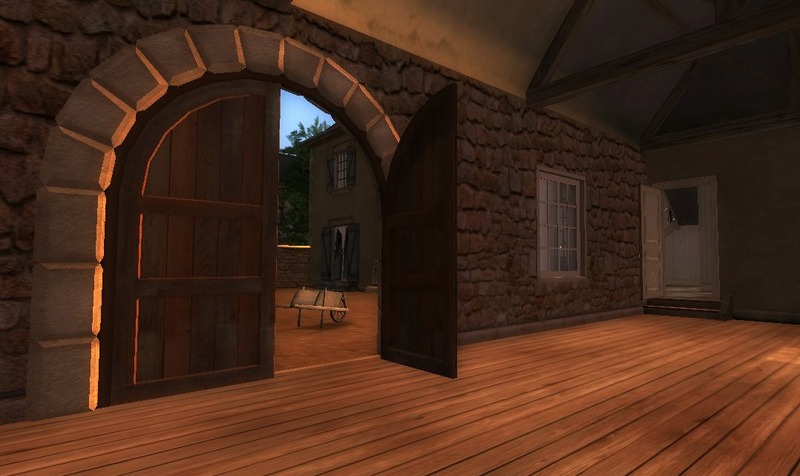 I often forget about what people refer to as Windlight when I’m exploring and taking photos. I use the Lab viewer and have no intention of learning a new one anytime soon. Mostly I use sunset for light although I like a lot of the region settings I find. 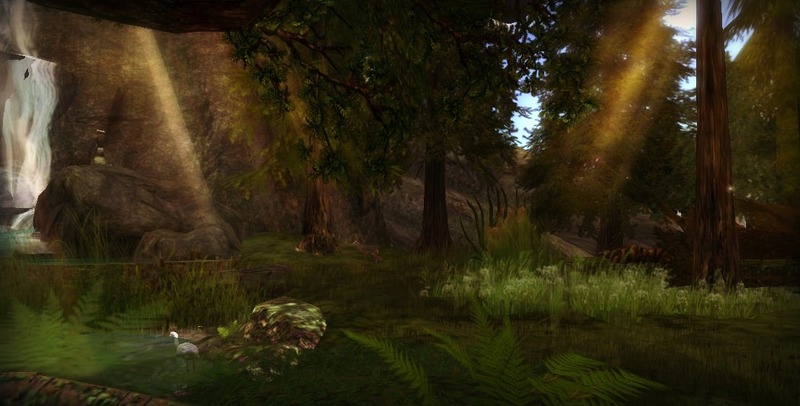 Recently I took a peek at Islo Okiddo, exploring far longer than I intended to. 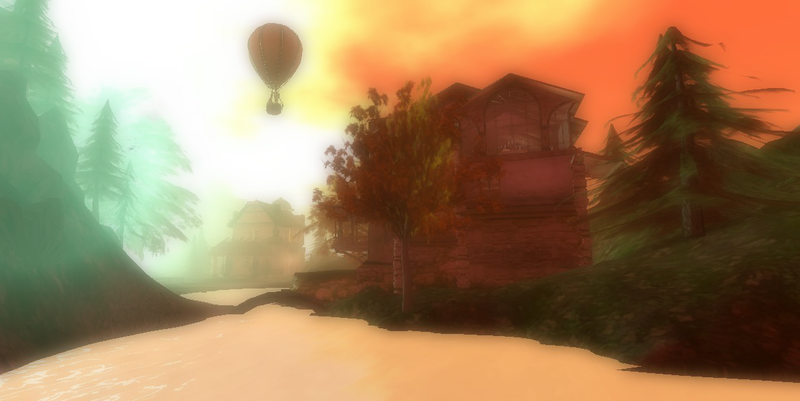 At some point I came across the info that it’s suggested to pick our own WindLight so I recalled that Environmental Editor existed and selected Sailor’s Delight, which is shown in the above photo. That caused the distraction of teleporting to places I’ve been frequenting lately to see what they look like in this light. Island of Zen, where a friend has a rental. A place I hang out in Ghamb. It was fun but I think I’m done with Sailor’s Delight for a while. If you’ve read this far you’ve noticed that my blog looks different. It’s an experiment. I like the previous look better but then I read everything on my laptop. This theme is more-devices friendly. I’ve looked at a few of those sorts of themes in the past and always found something I didn’t care for. With this theme, I can change the background color and it will adjust the other stuff for me. I might change it back at some point. This blog is a like a hobby for me, (not a business) and I don’t invest a lot in promoting it, but I do care that any post someone might happen to read has an appearance that is simple and pleasant to do so. 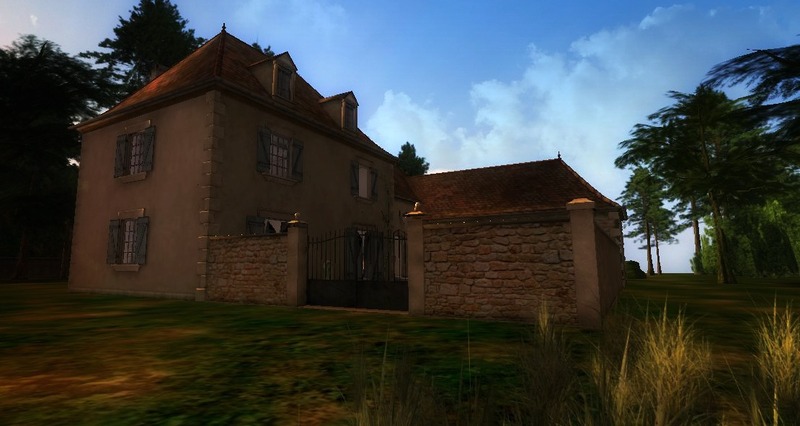 Le Clos Miron is the master house of a farm in the southwest region of France. 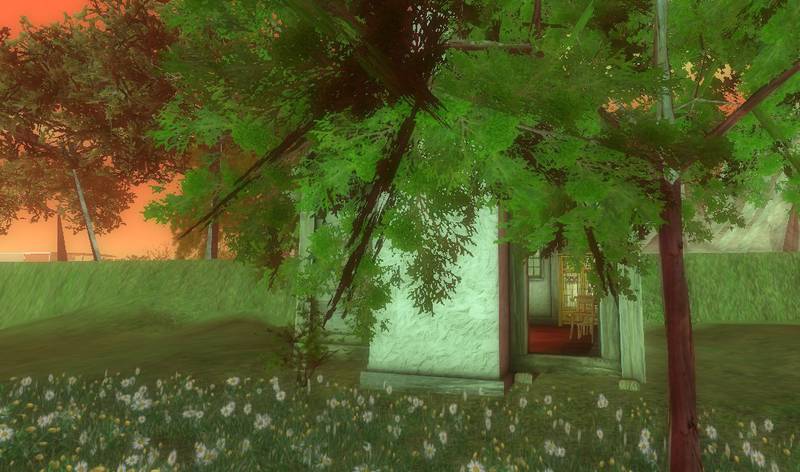 I rezzed the house and took photos at Never Totally Dead. An info packet is available including a footprint. 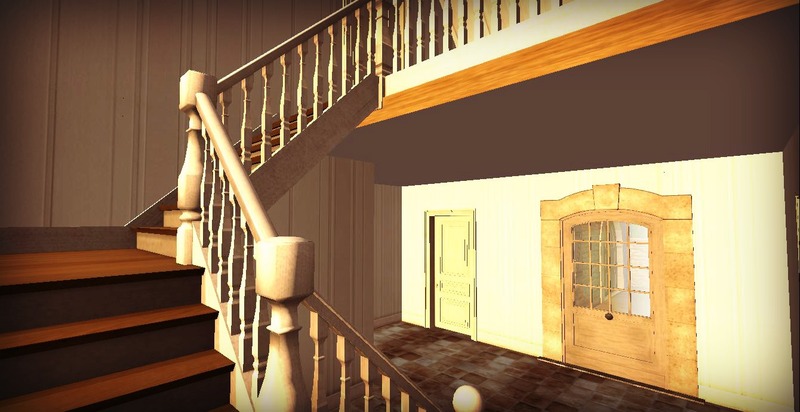 Never Totally Dead — the wonderful store of Hackberry Hall by by BlueSean YiYuan. The walls aren’t really that pinkish. You can read the details about this home on the marketplace. Perhaps there’ll soon be a Le Clos Miron house set up with specially made furniture for it like Chateau La Lutiniere. 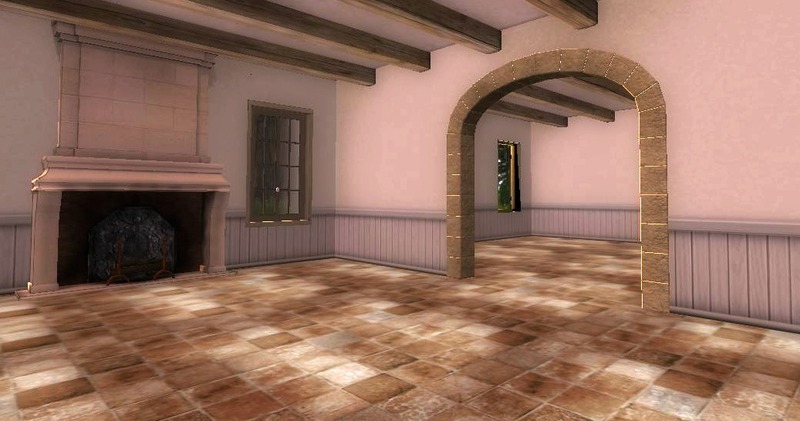 I’m looking forward to seeing what people do with this house in world. And now I see there’s an empty house set up at Desert Harbor with a few chickens in the yard. These two photos are the last of my OBR 2014 pictures. Shown within a month of the event being over isn’t too bad for a busy blogger in these times.